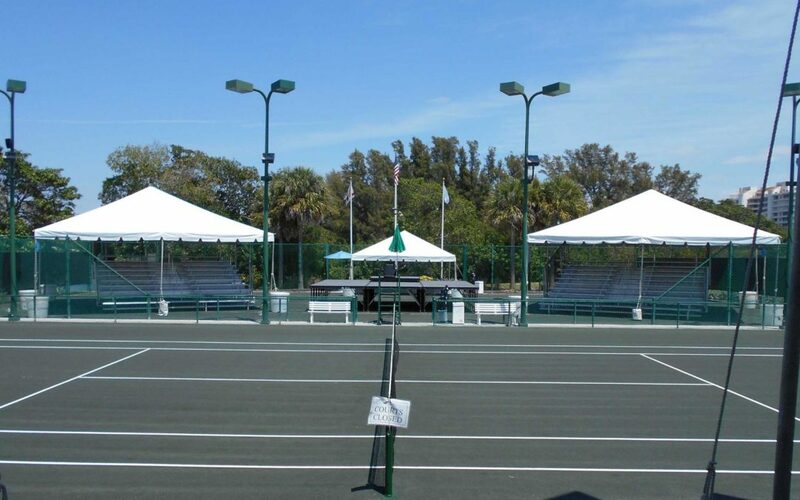 The Sarasota Open has been using RBI for 5 years at this event and each year the seating layout changes to keep things fresh and add new elements to the events. The stage was added this season in between two sets of bleachers which was a fun twist on the games. This event is 10 days long and falls in April each year. The installation requires a lot of carrying as the courts that the bleachers are installed on are all the way in the back of the facility and no access is available with the exception of a concrete sidewalk. The end product is really cool though and worth all the extra work needed to get this project done. The bleachers used for this event are both 10 rows and 5 rows high. The bleachers around the stage this year are 10 rows and seat around 250 people. The bleachers are also covered to help protect the fans from the Florida sun and the rain which is very common this time of year in Sarasota. 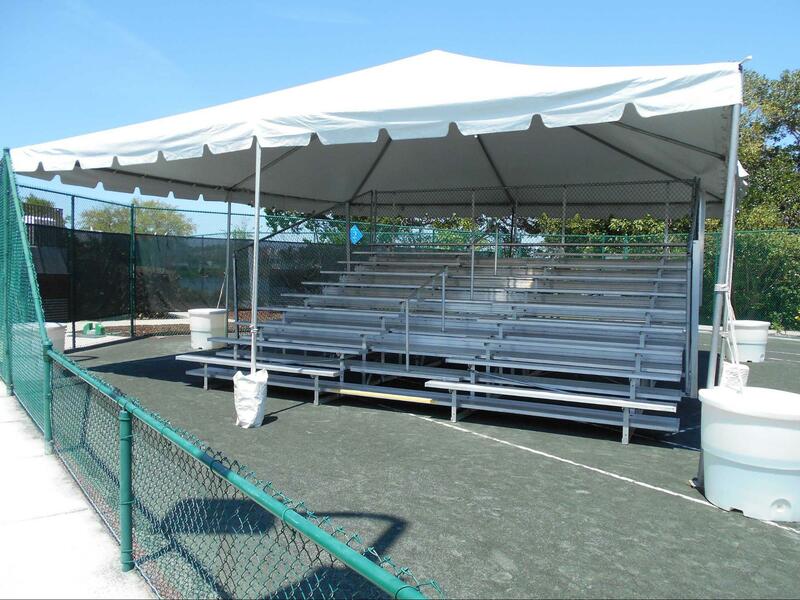 The covered bleachers are a great choice for outdoor events that have weather concerns or if you just want to make the guests more comfortable.